We’d love your help. Let us know what’s wrong with this preview of The Forgotten Beasts of Eld by Patricia A. McKillip. To ask other readers questions about The Forgotten Beasts of Eld, please sign up. how to express how much I love Patricia McKillip and her books, how much her stories move me, how they slowly and invisibly transform from enthralling fairy tale to a genuinely emotional experience? how to describe the prose: so refined and elegant, so expressive, so light and delicate, so deep and beautiful, and yet often so simple? just so: her arrangements are perfect, my own kind of perfect. how to describe all of that, to make into something as plodding as a book review? love is a subjectiv how to express how much I love Patricia McKillip and her books, how much her stories move me, how they slowly and invisibly transform from enthralling fairy tale to a genuinely emotional experience? how to describe the prose: so refined and elegant, so expressive, so light and delicate, so deep and beautiful, and yet often so simple? just so: her arrangements are perfect, my own kind of perfect. how to describe all of that, to make into something as plodding as a book review? love is a subjective experience and so resists codification. it would be easier to describe why I liked that walk in a forest, that beam of sunlight hitting the leaves in just that way; or how I like to watch the fog roll in past that great hill, making of the world a dreamscape. words seems so small for such a task, and yet words are the very tools she uses. What a magical book!! Just what I needed! The Forgotten Beasts of Eld is one of my all-time favorite fantasy novels. It's a total comfort read, poetry in prose combined with an appealing story, some great symbolism, and an examination of people and their motives and how our desires and fears can make or undo us. It's one of the fantasy books I repeatedly recommend to friends. I finished this off yesterday in one day, as part of a buddy read with the Buddies, Books and Baubles group. It's probably my third or fourth read of it, but it's The Forgotten Beasts of Eld is one of my all-time favorite fantasy novels. It's a total comfort read, poetry in prose combined with an appealing story, some great symbolism, and an examination of people and their motives and how our desires and fears can make or undo us. It's one of the fantasy books I repeatedly recommend to friends. I finished this off yesterday in one day, as part of a buddy read with the Buddies, Books and Baubles group. It's probably my third or fourth read of it, but it's been ages since I last read it, so there were quite a few details that I'd forgotten. I still love it as much as ever, though. Sybel is a young woman who's a powerful wizard. Raised in isolation by her father on Eld Mountain and orphaned at age 16, she's inherited a marvelous menagerie of powerful and wise magical animals. When a young lord, Coren, brings her a baby, Tamlorn, a pawn in the power plays of men, and begs her to raise and protect him, she somewhat reluctantly agrees. But twelve years later, Coren asks for Tamlorn back ... and then Tamlorn's father, King Drede, appears at Sybel's door. And Sybel finds herself very unwillingly drawn into their world. Thoughts on symbolism: Rommalb/Blammor, of course, is fear - that's made quite explicit. I've always thought the Liralen was a pretty clear symbol of love, but I did a little spot-checking of online reviews and saw some other people suggest that it's happiness or joy. That would make some sense, but I still think love is the better answer. For one thing, when Sybel calls the Liralen, she usually is subconsciously calling Coren. It's an interesting idea, though, the juxtaposition of fear with love (or happiness) as flip sides to the same magical creature. 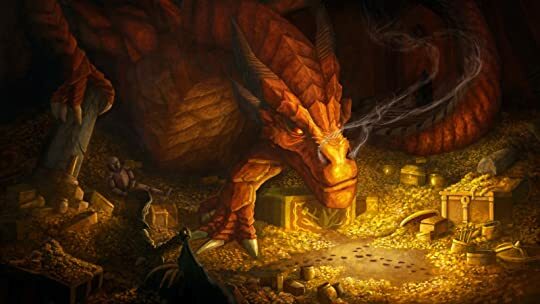 and of cause a treasure-hoarding dragon. His son continued his father collection, but his only heir was a girl named Sybel - a heroine of the story. As much as she was trying to avoid any interaction with other humans, the Big Politics caught up with her and she ended up taking care of a baby, supposedly a prince of a nearby kingdom. This was how Sybel got tangled into affairs of other humans and this is how she discovered her own previously unknown emotions: love, hate, and everything in between. I found myself in the situation when I need to say something nice about the book which totally deserves it, but I cannot find anything worth saying. My reviewing motto is, "When you want to praise a book and you have no idea what to say, praise the writing quality". Yes, the writing quality is great and on the level only few books of the genre can reach. The prose is excellent and so is the flow of the sentences. What did not work for me was Sybel herself. For starters by the middle of the book every single named male character of the story was madly in love with her. I mean she was not exactly Helen of Troy whose face could launch a thousand ships. She did not hesitate to sacrifice lives of people of several armies to get a personal revenge on one guy: can we call this an overkill? Other than Sybel the only character showing any signs of being a living being was Coren. The rest were serving just to move the story along. Lots of people love the book and my problem was that I was looking for great characters and could not find any that interest me. I already mentioned that the writing quality is very good. I should also mention interesting symbolism in the story that was mentioned by my buddy readers. What made this novel really amazing is how excellent Patricia A. McKillip wrote this. The author used her skill to write majestic words to describe each character and places, as well as breathtaking prose to narrate the story. If I'm not mistaken, this book was first published four decades ago and that it also won the World Fantasy Award for Novel in 1975. It wouldn't be winning an award if it's not good, right? McKillip utilized her eloquence that made the story of Sybel, Tam, Coren, and of the What made this novel really amazing is how excellent Patricia A. McKillip wrote this. The author used her skill to write majestic words to describe each character and places, as well as breathtaking prose to narrate the story. This book gave me chills. Still does. I went in knowing nothing about it. I mean, I did skim some of the reviews, so I knew it was highly rated and people seemed to love, but other than that, I had no idea what it's about or what to expect, and I had never read Patricia McKillip before. And that was the best way to approach because the writing blew me away. It is simply SO GOOD and has a beautiful fluidity to it that makes it so easy to fall into. What impresses me most is that the prose is neith This book gave me chills. Still does. What impresses me most is that the prose is neither purple nor flowery; it's just lovely to read. There's a dreamy, poignant, lyrical quality to it, yet it's so easy to read and so concise. There's not an unnecessary scene or line or moment anywhere. Every word serves a purpose, and not once during the read did I feel like the story was wandering around aimlessly. Nothing is out of place, and so much happens in so few pages. And I just love that kind of writing--purposeful and minimalistic in execution. Briefly: Sybel, a young powerful sorceress who knows nothing of the world below her mountain and wants nothing to do with it, is pushed into the affairs of two warring sides within a kingdom when a baby is brought to her to raise. On one side, there's an insecure king who fears being dethroned. On the other side, there's family of nobles who would like to dethrone the king. Their animosity toward each other go way back. Both sides want Sybel and use her powers for their own, but only one seeks out a way to break and bind her to their will. What follows is an all consuming tale of near destruction. Well... not exactly, but that was what it felt like during the read, like everything was coming apart at the seams, and I could not turn the page fast enough. Sometimes, after a string of bland genre picks, I would forget what it's like to read well written fantasy, but then something always comes along to remind me. McKillip was the perfect reminder. "What, in years to come, will you have in your life but a silence that is meaningless, ancient names that are never spoken beyond these walls? Who will you laugh with, when Tam is grown? Who will you love? The Liralen? It is a dream. Beyond this mountain, there is a place for you among the living." "You can weave your life for so long--only so long, and then a thing in the world out of your control will tug at one vital thread and leave you patternless and subdued." "Be patient. It will soon be over." "Soon is such a long word," she whispered. This year when I started book review blogging, I realized that I was reading an awful lot of brand new books that were garnering a lot of hype. Not that that's a bad thing, but I decided along the way that when the opportunity presented itself I also wanted to better acquaint myself with older books. Stories that had been around for a lot longer are often written in a different way than the books of today. There's less focus on continuous action moving the plot, and in favor of more of a slow burn and lyrical prose. In a lot of ways McKillip's writing style reminded me of Robin Hobb's Assassin's Apprentice which I also read earlier this year. It's lofty and ambitious, and while the prose sometimes feels a little like it's meandering around descriptions and feelings, every word is purposefully chosen to deliver on the allegory of love and the unexpected places it takes a person. Aside from the comparison to Hobb, there's also similarities shared with the old-style fairy tales, like the ones we might read as children. There are brief moments of darkness, but McKillip instead highlights all of the beauty and wonder of her world and it never stops feeling magical. I can't lie though, it certainly was a challenge at times. McKillip doesn't serve every meaning to the reader on a silver platter. Instead, a lot is inferred during conversations or in the subtext. I think this is the type of story that I could read a dozen times over and pick something new out of it each time. There are also a lot of references to places, people and events in the world that the reader never sees. It all serves to make the setting feel more open and lived in, and while it can be overwhelming, fans of the fantasy genre will find a lot to love there. As a parable about love and loss, motherhood and letting go, it truly is a wonderful read. A lot of fantasy novels become grounded in the fantastic. In the magical battles and swords and shields and plots for power. Those same topics are certainly brought up here, but they're touched upon in an ancillary sort of way as Mckillip chooses to ground her novel in very human struggles instead. It was a lovely take on fantasy, and in a lot of ways the story still feels timeless in spite of having first been published in 1974. A lovely and beautifully written story. One day Patricia A. McKillip will write a bad book and that'll be the first sign of the impending apocalypse. I have no idea how I went through so many years of my life without having read her books. Actually, that would probably be because there are no Portuguese translations and I have to buy the originals from the UK. The Forgotten Beasts of Eld is, in a word, delightful. Like all of McKillip's books the reader is lost in her magical worlds from the very first page. She writes things and they One day Patricia A. McKillip will write a bad book and that'll be the first sign of the impending apocalypse. I have no idea how I went through so many years of my life without having read her books. Actually, that would probably be because there are no Portuguese translations and I have to buy the originals from the UK. The Forgotten Beasts of Eld is, in a word, delightful. Like all of McKillip's books the reader is lost in her magical worlds from the very first page. She writes things and they seem to come alive, to leave the written paper and surround you, wherever you may be reading. Patricia A. Mckillip is one of my favourite fantasy writers. At the risk of sounding politically incorrect in a PC world, I find her voice uniquely feminine. Her prose is both rhythmical and intoxicating. In this novel of isolation and seclusion, Sybil is brought up by her father on Eld mountain. Her sole companions are animals, which her father calls to the area. When Sybil's father passes away, isolated Sybil - still with only her beasts for company- studies magic to evolve into a powerful sor Patricia A. Mckillip is one of my favourite fantasy writers. At the risk of sounding politically incorrect in a PC world, I find her voice uniquely feminine. Her prose is both rhythmical and intoxicating. In this novel of isolation and seclusion, Sybil is brought up by her father on Eld mountain. Her sole companions are animals, which her father calls to the area. When Sybil's father passes away, isolated Sybil - still with only her beasts for company- studies magic to evolve into a powerful sorceress. Sybil expends much of her time trying to call-up a unique creature that might grant her more liberty, yet one day, a man called Coren arrives requesting that Sybil raises and protects a baby. Sybil is soon drawn into a conflict of the outside world of men, and the baby, Tam, matures. This is my favorite book of all time. If I had to pick a desert island book, it would be this one. There is something about the way this book flows that is actually literary magic. It's about magic, and riddles, and all sort of other legendary things but it's like fractal mathematics: beautiful, impossible for an ordinary human to understand, and yet hypnotic. Just the opening paragraph is chilling, and thrilling, and all sort of other trilling llls in a row. I can't describe this book, because i This is my favorite book of all time. If I had to pick a desert island book, it would be this one. Arc received by the Publisher via Netgalley in exchange for an honest review. A dramatic, lyrical ballad locked into simple prose. Obscure, seemingly effortless, magical and breathtaking. I don't think I have ever come across a book like this before in the fantasy genre. If I were to tell you what the story is about, it would not amount to much and there is hardly any worldbuilding, but the writing is so compelling, so powerful, so seductive and beautiful that I just cannot shake the effect it ha Arc received by the Publisher via Netgalley in exchange for an honest review. If I were to tell you what the story is about, it would not amount to much and there is hardly any worldbuilding, but the writing is so compelling, so powerful, so seductive and beautiful that I just cannot shake the effect it has had on me. 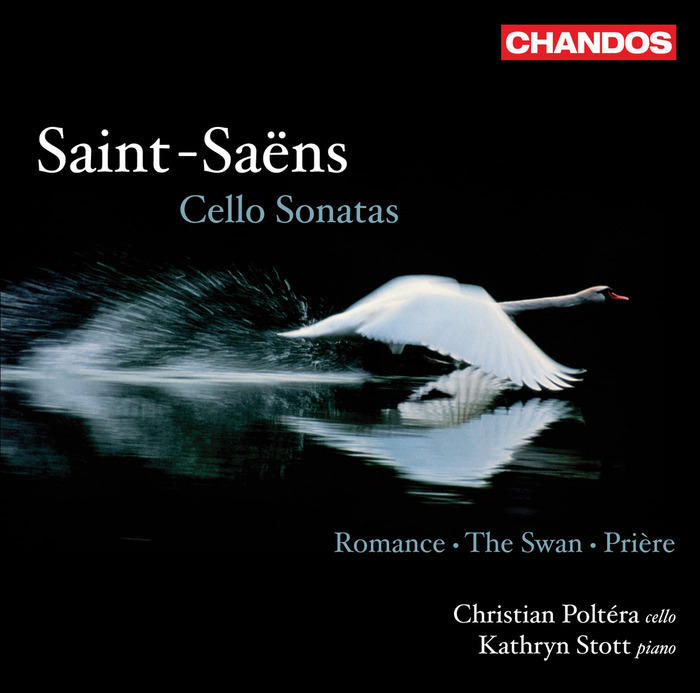 The music I kept hearing in my head while reading was the musical suite, The Carnival of the Animals by Saint-Saëns, especially The Swan movement. Also there is a strong medieval feel to the whole story and I was very much reminded of the Arthurian myth by the relationship between Sybel, Coren and Drede. 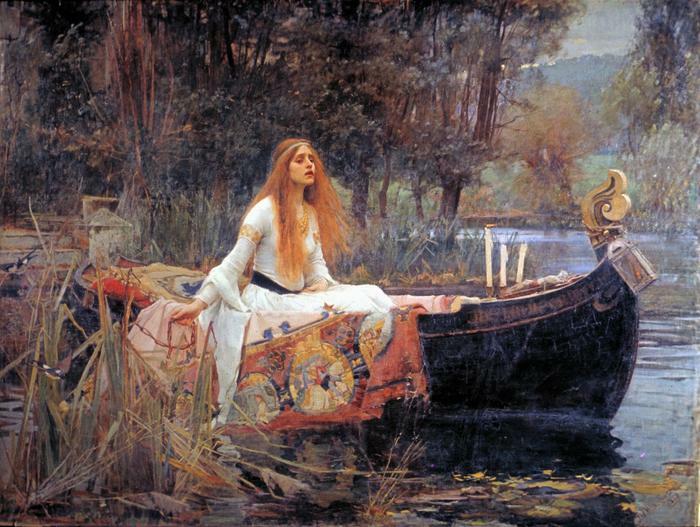 There was a strong Guinever-Lancelot-Arthur resemblance, though most of the time Sybel appeared to me asThe Lady of Shalott. "When Myk went out of himself forever, sitting silent in the moonlight, his son Ogam continued the collection." I'm convinced this is the most hauntingly beautiful description of death I have ever encountered in literature. The Forgotten Beasts of Eld is a wonderfully written, richly textured, high fantasy from Patricia A. McKillip. Even though it is quite limited in length, it is still filled with insightful moments and fascinating insights; all of it set in beautifully rendered fairy tale world. Sybel is a young, powerful sorceress, who has spent her life in isolation, her interaction with humans nonexistent. She knows nothing outside of her mountain home, nor does she really wis Originally reviewed at Bookwraiths. Sybel is a young, powerful sorceress, who has spent her life in isolation, her interaction with humans nonexistent. She knows nothing outside of her mountain home, nor does she really wish to know. Her only companions the magical creatures of her home. So when a baby is brought to her she isn’t quite prepared for the emotions this innocent child will evoke — nor is she ready for the power struggle she will be brought into when someone returns for the child. What always catches me unprepared whenever I read (or reread) a Patricia A. McKillip novel is her unbelievable prose. It isn’t elaborate or flowery, merely lyrical and purposeful. Every word has its place and its use in her narratives, yet she never feels a need to expound unnecessarily. Important events taking place in pages rather than chapters. Concise, meaningful, and lovely. That is how this author writes, and I only wish more fantasy offerings these days mimicked her style. As for the story itself, it was poignant, quick, and emotional. Sybel’s life, her choices, and the ones she love caught up in the quagmire she has unknowingly been drawn into. Her words and response to both the child and that which comes later filled with a layer of meaning and depth which will truly touches a reader’s heart strings. As for any criticisms or complaints, I have none. McKillip has always been a writer I was in awe of, especially her amazing ability to craft an exciting fantasy tale that still finds a place for both dignity and seriousness in its pages, and The Enchanted Beasts of Eld was no exception, making me wonder only why it took me so long to actually read it. Lyrical, complex, concise, and emotional, this novel is one I will be readily espousing to lovers of high fantasy, fairy tales, and beautifully writing. Patricia A. McKillip isn’t an author spoken of very often these days, but she should be, because her works are treasures of the genre. I both liked and disliked this book... Took me ages to get invested in it (about half the book...), but then it got interesting. I feel like it's because midway, the book changes quite drastically. It starts involving FEELINGS. Love, revenge. Before that? I knew as much as you do what was going on. There are reasons why I dislike high fantasy (or at least high-ish) fantasy, but I still keep trying... I should stop. I am not comfortable with a crucial thing most high fantasies do, and that's dropp I both liked and disliked this book... Took me ages to get invested in it (about half the book...), but then it got interesting. I feel like it's because midway, the book changes quite drastically. It starts involving FEELINGS. Love, revenge. Before that? I knew as much as you do what was going on. There are reasons why I dislike high fantasy (or at least high-ish) fantasy, but I still keep trying... I should stop. I am not comfortable with a crucial thing most high fantasies do, and that's dropping 50 inconsequential names of legendary kings and beasts on me in the first page, none of which pretty much relate to the story at all, are described or are even to do with mythology - so basically, I end up with a jumble of interesting sounding syllables that mean nothing to me. Am I weird? This was a big problem for me with this book, and a reason I found to get it hard to get into at first. But that isn't the only reason this book didn't hook first. The storytelling is basically like a fairytale. In one sentence they talk about a thing, in the next sentence, it's suddenly twelve years later and the thing has been done. A baby basically left at the doorstep suddenly becomes dearer than anyone the characters known before. People love each other although they've talked three times and disliked each other during those dialogues. They meet kings and talk with them as of they've always known them... Granted, it does give a fairytale vibe, but I do not enjoy this kind of storytelling because it's incredibly jumpy, and it also feels quite terribly unnatural. I had trouble paying attention. But when it gets past that point, I must admit it does get interesting, and quite dark. And meaningful. If this book was like this in its entirety, I would have surely given it 4 stars! But I almost dropped it at 38%. So 3 stars it is. But if you like high fantasy, I'm sure you'll like this! See my full review of this book on my blog along with others at: foalsfictionandfiligree.com. I received an ARC of this book from Netgalley in exchange for an honest review. Thank you! All included quotes have been taken from an ARC and may not match the finished publication. A book like this is intimidating to pick up. Not because it is mundane, nor because See my full review of this book on my blog along with others at: foalsfictionandfiligree.com. A book like this is intimidating to pick up. Not because it is mundane, nor because it is necessarily daunting (although it is, in a way). No, my friends. This book entails every aspect that fantasy writing is about, and it is truly breathtaking. Being disappointed with other fantasy reads after this book is why it is intimidating. Compared to the writing of today's YA novels, this book automatically takes the lead in its overall quality. Its writing style, detail to plot and meaningfulness are (in my opinion) so much more when compared to what is out there today. We are dropped into a new world, that isn't ever fully explained. Because of this, the reader is allowed to be left with a sense of yearning and wonderment to know more. To me, this is the key element to draw in the reader, and to make them thirst for more. Over-explanation of detail only "dumbs down" the writing to be taken at face-value, rather than allowing the readers' imagination to run wild. The tidbits that we are privy to are delicious, whimsical, and truly meaningful. Our main character Sybel, is the daughter of Ogam, a man born from a line of wizards. His special powers allowed him to "call" many spectacular creatures to live among his castle walls, safely nestled in the mountains of Eld. Sybel, growing up in a world separate from the one she lives in, knows little of the outside world. She cares little for the dealings of men, and spends her time tending her beloved creatures, and calling the fabled Lorien, a mythical white bird, to join her. Her solitude is interrupted when an unbidden man brings a baby to her doorsteps, insisting that she takes the child in and raises him in a place far away from the warring nations outside her walls. She consents, and realizes that she must learn what it means to love another human--something she is not used to doing. As the child grows into a young man, Sybel develops a strong, motherly connection to him. But as he comes of age, Tamlorn is sought out, and called to rejoin the world of men, and take his rightful place as prince. Sybel calls Tamlorn's father, the king Drede to her to discuss terms for Tamlorn. When Drede meets Sybel, he immediately falls in love with her, and extends the offer for her to join him and Tamlorn. Because of Sybel's odd upbringing and talents, she has developed a rather cold character. She doesn't know, or care much for the toils of men. That is, until she discovers that she is used by one who desires her for her power. Sybel's outlook on mankind transforms into a dark and corrupting thing, causing her to unabashedly use others to cast her revenge. But her desires for revenge do not come without their consequences. As Sybel experiences life, love, loss, and joy, she must either grow, or forever be locked in the dark shackles of revenge, hurt, and mistrust. Because her character basically starts from zero, the reader gets to watch her "transform" as she learns more about human nature. #1 Because this is a shorter novel, changes aren't always allowed enough time to happen without feeling a bit forced. An example of this is Sybel's character. She changes so much in such a short amount of time, that it isn't always believable. #2 I felt that the imaginative expression could be slightly overwhelming at times, and could have used a bit more explanation. Despite these two things, it is without a doubt that this is a beautiful story of growth, hardship, healing, and forgiveness. I would highly recommend this read to any lover of young adult fantasy. Random side note: I think that Sybel is the original white-haired, dragon wielding heroine. Not Khaleesi. Vulgarity: None that I recall. Sexual content: Some advances are made towards Sybel, but they are stopped before anything happens. McKillip’s writing is gorgeous, and works well with the character she’s chosen — a girl who has not been loved, does not know how to love; who hasn’t been among people to be drawn into loves and hatreds. And in the course of the book she does learn, and she struggles with it… There’s a coolness to the book, like a mountain stream; an aloofness that you can get with distance from something, but toward everything. I can understand why some people disliked it for that very thing, but for me it perfectly matched the subject. I like high fantasy, but since so much of it draws from the same well as Tolkien, there’s something all too real about it sometimes. This book, the character of Sybel, are closer to real magic for me, in the same way that the contemplative parts of Ursula Le Guin’s Earthsea books (the sleeping man with the thistle growing by his hand…) come closer to real magic for me than all the magic rings and restless shades in the world. I read this book in 1975. It was impressive to my teenaged self, but was the beginning of the end for me and fantasy as a primary reading genre. What do you think love is—a thing to startle from the heart like a bird at every shout or blow? You can fly from me, high as you choose into your darkness, but you will see me always beneath you, no matter how far away, with my face turned to you. My heart is in your heart. I gave it to you with my name that night and you are its guardian, to treasure it, or let it wither and die. I do not understand you. I am angry with you. I am hurt and helpless, but nothing will fill the ache of the hollowness in me where your name would echo if I lost you. It wouldn't hit me how precisely this passage describes parenthood, as well as other profound states of love, until I got there myself. When I first read it I got a shivery foreboding of how cold passion can be. Thank you, Author McKillip, for the forewarning that I wish I'd heeded better. But in the end, I felt I was being womaned. McKillip seemed to me to be speaking to women and, if some random man chose to listen in, that's okay but you're not the point of the conversation. That men were the *subject* of the conversation, and the uncomfortable implications of that, didn't hit me for years. The end of that process in my reading life was The Mists of Avalon. I've said it before: I could feel myself growing a uterus as I read Bradley's book. I don't want a uterus. Fantasy novels of that era all seemed to be determined to reassign my gender, and I was and am very much not down with that. I'm still not a committed fantasy novel reader, though I no longer reject out of hand the mere notion of reading one. The rise of urban fantasy has brought me back to the chairs right by the door under the fantasy tent. I still don't much care for majgickq and teenagers as main characters require some serious persuading to induce me to pick up and read a book. But it's at least possible to get me near them. A story about this book: I first read it when I was 11 or 12. My local library at the time didn't have a YA section (in fact, I'm not sure the concept of YA fiction existed at the time, though that would change soon--by the time I was in high school, the library had a separate section for teens). The library's juvenile book section was arranged with picture books on one side of the room, middle-reader chapter books in the middle of the room, and one free-standing shelf of 5 stars--it was amazing. A story about this book: I first read it when I was 11 or 12. My local library at the time didn't have a YA section (in fact, I'm not sure the concept of YA fiction existed at the time, though that would change soon--by the time I was in high school, the library had a separate section for teens). The library's juvenile book section was arranged with picture books on one side of the room, middle-reader chapter books in the middle of the room, and one free-standing shelf of "older juvenile" books on the other side of the room. This book was on that free-standing shelf. I'd already read a good portion of the middle-reader books and was starting to make forays into that exciting new shelf of big kid books. I'm not sure why this book was there. I wouldn't classify it as juvenile/YA fiction. But there it was, and I read it, and loved it so much I probably reread it three times in the next couple years. I already loved fantasy books, but after these early readings, I started to seek out McKillip novels--something I still do today. She's one of my favorites. Now I think that 11 was probably too young to read this novel, but at the time I loved the strange and fascinating beasts. I wanted to have long silver hair and be a wizard in a tower, surrounded by magical creatures. The more symbolic elements--about what it means to be a woman, how power differs for men and women, the destructive power of both hatred and love--went over my head. Thankfully. When I saw this book re-released and available on NetGalley, I snatched it up. I was interested in seeing if I'd still love it. The answer is yes: absolutely and whole-heartedly. This book holds up to my early infatuation and more. The prose is gorgeous (McKillip is one of the best), and the story is gripping. I still want to be a silver-haired wizard in a tower with magical beasts. I guess some things never change. I know I've read this before but so long ago that I only got brief glimpses/memories of scenes as I read them. Which is just as well because I doubt very much that I could have appreciated the depth of this story when I read it all those years ago. This story has a kind of oral/bardic beginning that sets the tone for the lyrical beauty of the rest of the prose. It's part style, part choice of imagery that gives it a kind of mythic flavor that might have been off-putting if the underlying story we I know I've read this before but so long ago that I only got brief glimpses/memories of scenes as I read them. Which is just as well because I doubt very much that I could have appreciated the depth of this story when I read it all those years ago. This story has a kind of oral/bardic beginning that sets the tone for the lyrical beauty of the rest of the prose. It's part style, part choice of imagery that gives it a kind of mythic flavor that might have been off-putting if the underlying story weren't so deeply human. I loved it from the start which is interesting because it is quickly apparent that the magic of this world is one of compulsion and control and I have a visceral reaction against such. Sybel has a light touch with her animals, but the narrative doesn't flinch from the truth that she could do the same with humans. Indeed, it's almost a relief when the veil is completely ripped away and you see the true horror of the abuse of that power in such close and personal terms and the desperation it engenders in even the threat if its use. And the story goes deeply into the obsessive darkness inherent in being ruled by hate and revenge. Love and forgiveness are hard pressed, but present, too, rounding out the story of family, love, pain, loss, and power. All of which are big, weighty elements that might have made for a hard read, but I didn't find it so. I think that's because it sticks closely with Sybel and her interactions with others are mostly one-on-one and therefore contained and framed in the personal even though the individual elements are so broad. I kind of loved how all the grand movements of the story are expressed through that smaller perspective of the individual and her relationships with other individuals (as opposed to groups, nations, or representatives of same). I have a particular fondness for Coren—the man playing outside his own league but game to keep trying because he values both the experience and the potential. This imprinted particularly strongly after he lets go of his own hate and learns to respect and then love Sybel. His attachment might have felt more sudden if I didn't understand that draw to powerful women so well, myself. And he sees her at her kindest in regards to Tam and her care of his wounds so it isn't a large step to see further to her care for her forgotten beasts, too. Sybel treats him poorly in (view spoiler)[her scheming against Drede but I can't think of a way to show her emotional landscape so well as in her neglect of him as she turns more to hate, revenge, and fear (hide spoiler)]. Goodness, this was a great story! Sybel has grown up mostly in isolation. The daughter of a wizard, she is immensely powerful. Her mountain home is surrounded by a beautiful garden in which reside legendary magical beasts whom she controls with her powers. Her situation makes her emotionally isolated and selfish, but change soon comes in the form of an orphaned infant boy, brought to her by Coren, a soldier. Coren asks her to love and protect the child, Tam, and she agrees. With the h 4.5 Stars. Sybel has grown up mostly in isolation. The daughter of a wizard, she is immensely powerful. Her mountain home is surrounded by a beautiful garden in which reside legendary magical beasts whom she controls with her powers. Her situation makes her emotionally isolated and selfish, but change soon comes in the form of an orphaned infant boy, brought to her by Coren, a soldier. Coren asks her to love and protect the child, Tam, and she agrees. With the help of her beasts and the local hedge witch, Maelga, Sybel raises little Tam and in the process, learns to love. When trouble comes to the mountain and threatens the safety of Tam and the beasts, Sybel must fight to protect herself and those she loves. The many painful lessons of growing up include facing ourselves, correcting our faults, and most importantly, learning to forgive others, even when those who harm us don't ask for our forgiveness. There is an enormous amount of truth in this story and it's told in the most enchanting and lyrical manner possible. A modern classic, this belongs on everyone's shelf. 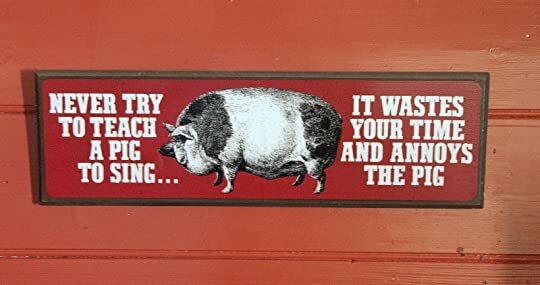 Enter a land where wise old boars speak, as well as falcons, lions and cats. A land filled with sorcery, beauty and evil . . . Known as the ice white lady, Sybil was raised to live to care only for the mythical beasts under her control - powerful, beautiful and wise, and feared by man - she knows none of the ways of men and prefers to keep it that way. Until one day, when a young babe is left in her arms, and she learns to love, and gets entangled in a War she wants no part of. THE FORGOTTEN BEAST Enter a land where wise old boars speak, as well as falcons, lions and cats. A land filled with sorcery, beauty and evil . . . THE FORGOTTEN BEASTS OF ELD is a treasure worth seeking out. It's an imaginative story of love, betrayal and forgiveness, filled with intriguing characters you won't soon forget. The dialogue is sparse and the tale is short but there is an abundant amount of character growth and plenty of plot points to ponder. There's also enough magic and surprises to keep those pages turning. I never knew quite where the story was going to lead. I'm now on the hunt for her other work. Dude, I'm glad this was not the first McKillip book I ever read. I've loved everything I've read by her before, but this was terrible. Which is too bad, since I always heard it was so great. But I definitely wouldn't have given her other books a chance if I'd come across this one first. Well, okay, terrible might be a little strong. There are well-written parts. Still, skill matters little when I hated a) the characters, b) the plot, and c) seriously, every single character. And parts of it weren Dude, I'm glad this was not the first McKillip book I ever read. I've loved everything I've read by her before, but this was terrible. Which is too bad, since I always heard it was so great. But I definitely wouldn't have given her other books a chance if I'd come across this one first. Well, okay, terrible might be a little strong. There are well-written parts. Still, skill matters little when I hated a) the characters, b) the plot, and c) seriously, every single character. And parts of it weren't well done. It definitely feels like an early work; the style I expect in her writing isn't quite there, it has a tendency towards melodrama, the pacing is terrible, and the characters - and especially their relationships - are way underdeveloped. I always feel like there's a bit of a sense of detachment in her books, and I generally like that, but I feel it times a thousand here and it doesn't work. It didn't let me connect to the characters at all; therefore, I couldn't have cared less about them. I most especially hated Sybel though. Not a good sign when your most loathed part of a book is its main character. But there was absolutely nothing about her that I liked. I kind of wanted to punch her. A lot. And, like, every dude wanted her the moment they saw her. Ugh. I really tried to like this, but I just really, really didn't. This tale teeters on the brink of that enchantment that won me over to Patricia A. McKillip's writing. At times, I was afraid it would keel over and shatter. But in the end, it soared. Also, as I read through my notes, I realize it has lent its magic to a great miracle in my own life. When I wrote the first note, I was beginning to look into adopting a child. As I finish writing them, a child and her mother have begun taking me in. But that's another story and will be told another time. ;) Now foc This tale teeters on the brink of that enchantment that won me over to Patricia A. McKillip's writing. At times, I was afraid it would keel over and shatter. But in the end, it soared. But that's another story and will be told another time. ;) Now focus on this one; it's good enough itself. ~ So I want to be a foster parent? I'd better be prepared. “He—we talked a little. He—” His head dropped suddenly onto her knees. Her hand moved gently over his hair as he cried, his hands crumpling her skirt. He quieted finally, and she lifted his face between her hands. ~ Is that the crux of the conflict? Drede was silent. Sybel rose and drew back the curtain. The King’s eyes leaped to her face; she saw shame in them, torment, and beneath them the icy glaze of fear. She stood still a moment, her hand on the curtain. Then she went to him and knelt at his feet. The opposite of love is not hatred. Neither is it indifference. Some of you know what it is, see it. Yes? ~ Judging by the publication date, McKillip must have been at most 25 when she wrote The Forgotten Beasts. Is that why some interactions between Sybel and Coren feel subtly immature--not explicitly enough to put the problem into words but still tearing at the hems of my own experience? Or, if the characters are in their 20s (I rarely remember these things), is their behavior exactly right (in its wrongness ;)? Or is there something else, something that will yet reveal itself and confirm another nagging suspicion: that McKillip had a precocious understanding of human beings from the very start? Like Peter S. Beagle in A Fine and Private Place and The Last Unicorn? I have a chapter and a half left to find out. 7/31/2018: This is still one of my favorites of McKillip's books, beautiful and powerful and emotionally engaging. I should be annoyed that it was in the Liverpool Public Library's children's section (this was before we really had a distinction between YA and MG), but I likely wouldn't have found it until much later if it hadn't been. My husband says I have an irrational attachment to it because I am Sybel. He's probably right. 9/17/2012: It's been a long time since I've read this, maybe not sinc 7/31/2018: This is still one of my favorites of McKillip's books, beautiful and powerful and emotionally engaging. I should be annoyed that it was in the Liverpool Public Library's children's section (this was before we really had a distinction between YA and MG), but I likely wouldn't have found it until much later if it hadn't been. My husband says I have an irrational attachment to it because I am Sybel. He's probably right. 9/17/2012: It's been a long time since I've read this, maybe not since I was a teen. Patricia McKillip has always been one of the great stylists of fantasy literature, possibly of all literature, and when you consider that this was only her third published book, and arguably her first for adult readers, it's even more impressive. As always, it's the imagery that draws me in: the golden Lyon Gules, the silver-tongued boar Cyrin, Sybel's house in Eld Mountain with its green fire. Then it's the story that keeps me there: Sybel, trying to remain neutral in a war between two great houses, learns that she lost that opportunity when she adopted a baby that both sides believe belongs to them. Flame-haired Coren, who believes he's a hardened warrior but proves he is in many ways an innocent. The scene where Sybel faces down the two men who want to make her theirs is something I've never forgotten. This was a bit denser than the usual bedtime-reading fare, both in the writing and in the feelz. But the little one loved it, and that's what matters. The Forgotten Beasts of Eld is one of the great classics of fantasy, though rarely shows up on lists of important books , perhaps because it is the story of a powerful woman learning to be human. Sybel is an extremely powerful mage, and has been raised on one side of a clear dichotomy between power/knowledge and love/hate/humanity. She is the first daughter in a line of mages who have devoted themselves to knowledge, who studied and gained the true names of the world's greatest creatures, and col The Forgotten Beasts of Eld is one of the great classics of fantasy, though rarely shows up on lists of important books , perhaps because it is the story of a powerful woman learning to be human. Sybel is an extremely powerful mage, and has been raised on one side of a clear dichotomy between power/knowledge and love/hate/humanity. She is the first daughter in a line of mages who have devoted themselves to knowledge, who studied and gained the true names of the world's greatest creatures, and collected them like jewels. She wishes to add a white bird called the Liralen to the collection and (now orphaned at sixteen) has devoted herself to seeking it. Into her isolation comes the schemes of men. Coren has been sent to her with a child that is related to Sybel's mother (a woman who was drawn to/controlled by Sybel's father in exactly the same manner as the beasts were drawn, and who died in childbirth). The child's mother also died in childbirth, and Sybel steps a little away from the arid intellectualism of being a great mage to raise the child, named Tam, and grows to love him. She also learns that he is not, as she was told, the child of Coren's brother, but of the king Coren's family has been warring with, and thus Sybel is drawn further into the schemes of men, never quite doing what it is they want of her, but being changed by the interaction all the same (view spoiler)[falling a little for Coren, and then being very briefly enslaved by a mage hired by the king to turn her into a puppet wife. And from here we move into a vengeance tale. Like most vengeance tales, the person seeking vengeance is depicted as doing the wrong thing because it is their own self they will inevitably destroy in gaining that vengeance. I'm 50/50 on how I feel about it in this context: one of the major reasons Sybel is to be destroyed by her vengeance is the impact on the two men she loves. Tam because the king is his father and he loves that father (with the kind of love that involves looking away and being kept ignorant of the whole enslaving-Sybel part of his personality). Coren because, substantially, of male pride: if Sybel tells him of the attempt enslavement, Coren will undoubtedly march off and get himself killed trying to kill the king himself personally because of "my woman" reasons. If Sybel doesn't tell him, she has to jump through all these hoops to keep from him all the things she is doing to gain her vengeance, and then cope with him being all betrayed and wounded because she hasn't been honest with him. I found Coren a bit insufferable during parts of this, and while Sybel was undoubtably heading off for a tour of the Dark Side, a lot of the most problematic actions revolved around protecting Coren's view of her as 100% good and truthful (unlike him, who started their interaction off with a Big Lie). Of course, Sybel should have done "sensible vengeance", and immediately sent her swan to bring Tam back for explanations, and her dragon to bite the king's head off. But because Sybel wants to draw out the king's pain (because of how awful he made her feel) she is caught up trying to shield the feelings of the two people she's come to love. Sybel eventually substantially gives up her vengeance and a large portion of her power (by releasing the beasts). The story never makes entirely plain whether Sybel (as a woman) is only allowed good-feels and passivity and will be punished for any bad-feels and active decision-making, but on the whole I think she ends up retaining her strength as a mage. At any rate, this is a short but very powerful story - and it did get nominated for a fair few awards in its day, but isn't so well known these days. It's probably one of the reasons I'm forever writing morality of mages stories, and it should pop up on lists of 'seminal fantasy' but that phrase itself perhaps explains why it does not. I've just found another Mckillip favourite; wow, this was all kinds of epic. I just finished reading McKillip's THE FORGOTTEN BEASTS OF ELD for the first time & I'm speechless & shaken & want to know how to do that. When a writer cherished for the beauty of her prose speaks this way about another author, my curiosity usually peaks. The Forgotten Beasts of Eld was first released in 1974 and, contrary to many books from the seventies, remains cherished among fantasy writers and readers. It has almost fifty years! It's worth noting that the book won the first World Fantasy Award (in 1975). The story heroine is a white-haired, black-eyed wizard Sybel who lives on Eld Mountain with magical, sentient beasts with whom she can converse telepathically. There's a boar, a falcon, a lion, a dragon and other mythical creatures that were magically summoned by Sybel or her ancestors. Her collection is almost completed. There's one empty space - the great white bird Liralen remains out of her reach. Sybel live isn't complicated. She lives with and for her creatures and knowledge. Everything changes when Coren of Sirle arrives claiming a vague kinship and bearing a newborn baby, the son of his brother. Baby may be in danger as there's a conflict in which Coren’s family fights with Drede, King of Eldwold. The baby, Tamlorn is heir to the kingdom. Sybel reluctantly accepts a charge of the child and discovers emotions unknown to her. Like love. The time comes when Sybel will have to return the child to his father who's not who Coren claimed it was. Due to the unfortunate turn of events and the kingdom ruler's unwise decision Sybel burns for a revenge and this urge may subvert her capacity for love. There's a whole package of fantasy tropes here: love, betrayal, revenge, swords, monsters. There's a clear sense of good and evil and very little of grey morality. The plot is predictable and simple. And yet the story doesn't feel derivative. It's charming and has a great flow that makes it easy to follow. On the other hand, characters feel rather two dimensional. Mythical beasts have more personality than Coren or Tam. Sybel remains a total stranger to introspection. Despite this, it's interesting to observe as she steps into the world of human emotions of love and hate. The book is short, so the world-building wasn't too extensive, and the plot had to be resolved in a short time frame. It's possible to feel that the ending was too rushed. Having said that, if you approach it more like a fairy tale than a modern realistic novel it's perfectly acceptable. My fantasy reading repertoire is full of holes. Especially when it comes to classics. I'm glad I've given it a try. I can't say I fully understand why this book is loved by so many people. It was nice and light and full of wonder. But also quite predictable and simple. 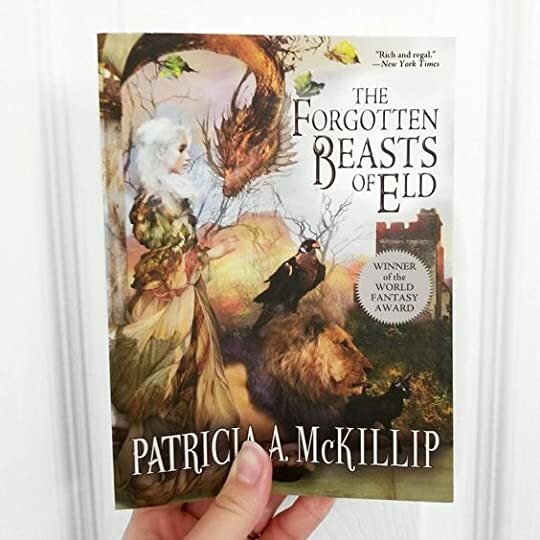 The Forgotten Beasts of Eld by Patricia A. McKillip is a fantasy classic. I don’t remember when I read it for the first time, but it’s a wonderful book and I re-read it every few years. Sybel, the beautiful and powerful wizard and her magical animals are part of this charming, magical cautionary tale about power and revenge. Sybel is the daughter and granddaughter of wizards and lives in a house of white polished stone built by her grandfather, the wizard Myk, on Eld Mountain. She shares this ho The Forgotten Beasts of Eld by Patricia A. McKillip is a fantasy classic. I don’t remember when I read it for the first time, but it’s a wonderful book and I re-read it every few years. Sybel, the beautiful and powerful wizard and her magical animals are part of this charming, magical cautionary tale about power and revenge. Sybel is the daughter and granddaughter of wizards and lives in a house of white polished stone built by her grandfather, the wizard Myk, on Eld Mountain. She shares this home with the magical beasts called by her father and grandfather: the Black Swan of Tirlith; Cyrin the Boar who still can speak; Gyld the Dragon; Lyon Gules; Cat Moriah; and the Falcon Ter. Sybel takes care of these animals and they, in turn, are loyal to her. One day when Sybel is calling the Liralen, a beautiful large bird with soft, trailing wings, she is interrupted by an uninvited visitor. Coren, one of the lords of Sirle, is at her gate holding a baby. Coren tells her that the baby is named Tamlorn and he is the son of the Queen Rianna (Sybel’s aunt) and Coren’s brother Norrel, the queen’s lover. He wants her to take the baby and raise him on the mountain to keep him safe from King Drede’s deadly grasp. 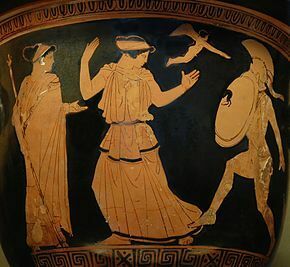 Even though Sybel’s first response is to command Ter to drop Coren from a cliff (which Ter wisely does not do), she eventually agrees to take the baby, saying that it cannot be much more trouble than her animals. After many years go by and Sybel comes to love Tamlorn, she learns the truth that he actually is the king’s son and that the king is looking for him. Coren visits her again to take Tamlorn away from her and back to Sirle. He wants to use Tamlorn against Drede, whom the Sirle lords hate and want to depose. Sybel is unhappy with this: “You told me to love him. So I did, like I have loved nothing else in my world. And now you want to take him from me, to use in your war games. Tell me now: which of us has the heart of ice?” (35) Sybel is faced with a decision: keep Tamlorn safe from the world of men, which she perceives to be full of hatred and war and violence, or return him to his father, something that Tam wishes. Her decision, which she makes out of love for Tam, has consequences for her and for the love growing between her and Coren. Ultimately, Sybel must decide if avenging a great wrong is worth the destruction of herself and those she loves. McKillip is a lovely fantasy writer. She writes skillfully and poetically and there’s a wisdom to her stories. She reminds me of Ursula Le Guin in that there’s a deeper meaning to her novels. Anyone who thinks fantasy is a genre of pure fluff hasn’t read the right authors. McKillip creates characters who are complex and, despite any magical powers or wisdom they may possess, make mistakes, make decisions based on fear and anger and hate and then have to deal with the consequences. They are real people I can relate to. In this novel, the themes of love and revenge are intertwined. Both Sybel and Coren are people who love fiercely, but they also hate fiercely. Their need to revenge wrongs has the potential to destroy their world. Because you see the world through Sybel’s eyes, you understand her need for revenge and even agree with her, even when you can see that her hate is destroying her. Sybel’s magical animals are wiser than she, particularly Cyrin. Knowing of her plans for revenge, he tells her a short tale: “The giant Grof was hit in one eye by a stone, and that eye turned inward so that it looked into his mind and he died of what he saw there” (154). What I also love about this book (and every McKillip book I’ve ever read, which isn’t enough of them) is the lyrical writing. Often it is just small phrases, such as when Sybel is mind-speaking with Gules Lyon. She is upset that Coren wants to take Tamlorn from her: He has taken my heart and offered it back to me. And I thought he was harmless (40). Here is Sybel again, speaking to Drede about Tam: “He is your son. He is nothing to me. I have loved him for twelve years, and you for—twelve minutes, but I cannot hold him here. I can hold a great Falcon and an ancient powerful Lyon, but I cannot hold one sweet-eyed boy against his own wantings” (55). Her sadness is palpable and I grieve with her. After Tam leaves with Drede and she is alone with her animals, Coren visits her, saying she called him. She says she did not, but he insists, saying he heard her voice in his dreams so he came: “You see, I know how it is when you speak a name into an empty room with no one on earth to answer to it” (64). That’s such good writing! He doesn’t just say, oh, I know you’re lonely; he describes exactly the state of her loneliness and even manages to connect it to how much he misses his slain brother. Later in the book, she begs for mercy from the man who wants to control her mind and her powers: “Do not let him change my mind. It is a terrible thing, more terrible than if you killed me here, now. I would rather you do that. There is a part of me, like a white-winged falcon, free, proud, wild, a soaring thing that goes its own way seeking the bright stars and the sun. If you kill that white bird, I will be earthbound, bound in the patterns of men, with no words of my own, no actions of my own. I will take that bird for you, cage it. Only let it live” (98). Even if you enjoy the book merely as a fantasy tale, it’s very difficult to not see the themes of liberty, the powerless fighting against the powerful, even a definite feminist theme running throughout this book. Sybel is a powerful, beautiful single woman and men want to possess and use her. 8 year old me collects little statuettes of dragons. 8 year old me climbs trees and jumps out of the branches. 8 year old me cuddles her cats and tries desperately to make them talk back to her. 8 year old me loves to read and writes short stories about two girls who make friends with a dragon on a mountain. Much like the animals in this novel, I felt drawn inexorably towards Sybel and her story. Patricia McKillip seems to have a hold over me, because reading her novels, I cannot help but be whi 8 year old me collects little statuettes of dragons. 8 year old me climbs trees and jumps out of the branches. 8 year old me cuddles her cats and tries desperately to make them talk back to her. 8 year old me loves to read and writes short stories about two girls who make friends with a dragon on a mountain. Much like the animals in this novel, I felt drawn inexorably towards Sybel and her story. Patricia McKillip seems to have a hold over me, because reading her novels, I cannot help but be whisked back to my 8 year old self. Her lyrical prose and simple yet powerful stories strike a chord with me that I can't quite put into words. Sybel is a character who was everything I ever fantasised I would be when I was young - beautiful, powerful, surrounded by loved ones and animals and books. She lives on Eld Mountain with animals she has learned the names of and called to her. Amongst them are an old dragon who dreams of his gold, a white boar who speaks in riddles, a great black cat learned in witchcraft, and a man-killing falcon. Then a baby is brought to her, who she reluctantly takes in but quickly comes to love as if he were her own. However, this child is the son of the King, which brings many complications to Sybel's doorstep. "I am not afraid of people. They are fools." "Oh, child, but they can be so powerful in their loving and hating." A sound came out of her, so sharp and grating she did not recognise her own voice. It came again; she slid to her knees on the skins, the hot tears catching between her fingers. She groped for breath, words wrenching from her, "Help me - I am torn out of myself-"
"Have you never wept so before? You are fortunate. It will pass." The ghost of Eld Mountain dwindled behind them; the great peak huddled, asleep and dreaming, behind its mists. The land was black beneath them, but for faint specks of light that here and there flamed in a second plane of stars. The winds dropped past Mondor, quieted, until they melted through a silence, a cool, blue-black night that was the motionless night of dreams, dimensionless, star-touched, eternal. "What do you think love is - a thing to startle from the heart like a bird at every shout or blow? You can fly from me, high as you choose into your darkness, but you will see me always beneath you, no matter how far away, with my face turned to you." He was silent a moment, struggling. He said finally, "But you had a right to be angry." "Yes. But not to hurt those I love, or myself."